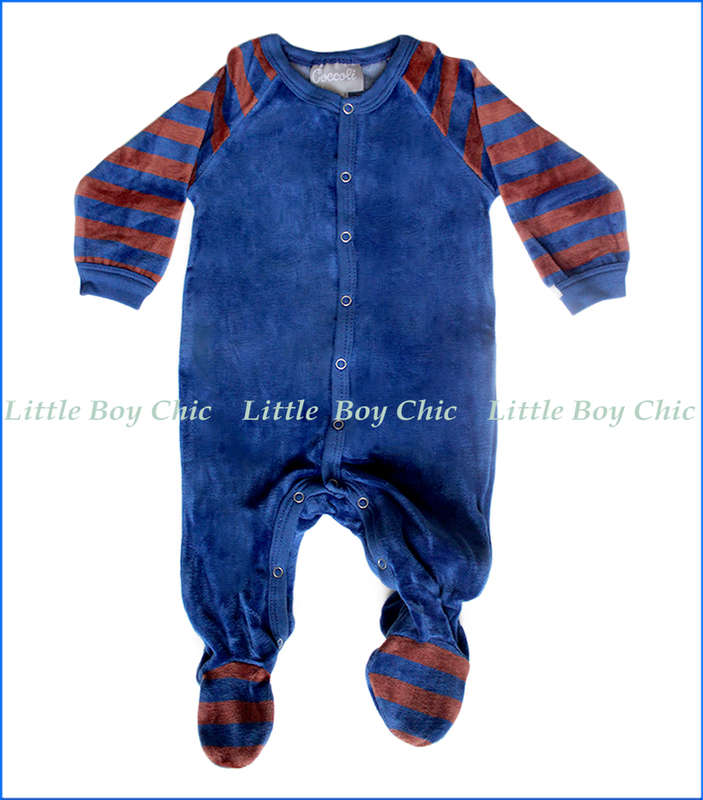 We're fans of these velour footies by Coccoli for baby! Soft and smooth hand feel. Contrast stripe sleeves. Snap front closure. Allows for a bit of stretch for optimal fit.